How do fractions show relationships? Day 1 - Building Conceptual Understanding - What Is a Fraction? 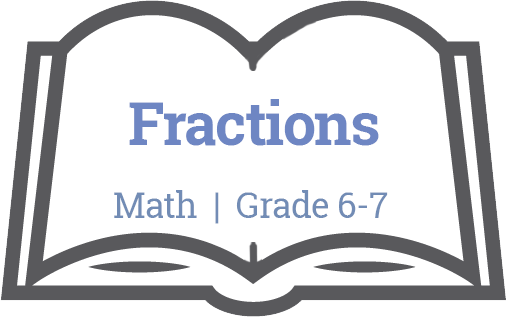 Day 1 – Building Conceptual Understanding – What Is a Fraction? 1) Number talk with fruit image – (http://ntimages.weebly.com/photos.html) Can do as a whole group, or in small, random groups on vertical surfaces. 2) Ask: What do you see? Think mathematically. What fractions do you see? Remind students to identify what the numerators and denominators represent. 3) Have a discussion about what a fraction is and what they represent. Guide students to recognize parts and wholes. What are the parts in this image? What are the wholes? 6) What do you see? Think mathematically. What fractions do you see? Remind students to identify what the numerators and denominators represent. 7) Have a discussion about what a fraction is and what they represent. Guide students to recognize parts and wholes. What are the parts in this image? What are the wholes? Extensions: What other fractions can you see? Give students a fraction and have them identify what you are counting as the numerator and denominator. Diamond sheet on fractions (see below – imagine there is a box in the middle of the page where “Fractions” is written). The goal of this activity is to get students communicate their understanding in various ways, using the curricular competencies. 1) Using Fraction Strips (preferably ones that are all equivalent to a whole), have students lay them all out in a large block and discuss with partners what they are noticing. 3) Students may not organize block “in order” or with the same pieces in all rows (like all the fourths together). If students use multiple fractions in one row, show students that what they are actually doing is adding fractions to equal one. Model the addition sentences they have made on the board. Do not introduce idea of common denominators, just let the students play with the pieces and see how many different ways they can make a whole. An extension activity would be to challenge students to make the whole block again, with each row mixed up. This will reinforce the idea that fractions take up space and that equivalent fractions take up the same amount of space, as certain rows will not work. 4) Ask students to remove the thirds and fifths, as well as the whole (so there are only even number denominators). Discuss again in partners, what do you notice now? Ask students to again talk about what they are noticing. Look at what is happening to the numerator and denominator as you move through the rows – is it the same thing? 9) Ask students what they are noticing now – should notice that the ninths are missing (most sets do not include ninths). Ask students where the ninths would fit (between the sixths and twelfths) and how many pieces they would need to be equivalent to 1/3? (3). 1/3 = 2/6 = 3/9 = 4/12…what would be the next row? The one after? What is happening to the numerators and denominators each time? 10) Could there be a rule that works for all fractions? What would the third row be? What is the rule? (Whatever you do to one part of the fraction, you have to do to the other part). 1) Practice concepts from yesterday with paper pencil work that includes pictures of equivalent fractions and leads to questions that no longer include pictures. 2) Make sure students show their thinking as they work through – show what you are doing to the numerator and denominator each time. 3) Allow students to continue using the blocks if they need to. 1) Have students draw a large line on their desks (with whiteboard markers, if possible; alternatively, do this vertically on whiteboards and windows), marking one end with 0 and the other with 1. 2) Ask students to divide the line in half and mark the half with the appropriate fraction. Ask them how many halves would zero be? (0/2) and how many would 1 be? (2/2). 3) Now divide each half on the line in half again – what have we created now? (quarters). Have students label these quarters, keeping the labels for the halves as well. (write the new labels underneath). 4) Ask students what they are noticing about the number line and the fractions they have recorded so far. Draw the “blocks” over the sections on the number line to make the connection for students. Look at the two fractions we now have at the half mark – ½ and 2/4 – what is going on here? Equivalent fractions! 6) Have students divide the quarters in half again – how would we label the new marks on the number line? (eighths) Label them under the fourths – look at the equivalent fractions again. 7) Repeat this again as many times as you feel you need to. 1) Using two sets of fraction strips, have students work in partners to model fractions larger than one. For example, start with three halves. 2) Ask students how many halves we have and how we might record this. Students may say ½ + ½ + ½ or they may say 3/2. Ask students to talk about what makes this different from the fractions we have already worked with? Guide them to notice the numerator is larger than the denominator and that it represents more than one whole. Remind them that 2/2 is equal to one whole. If we wanted to record this as a proper fraction, how might we do this? How would we represent the whole? Show that another way of recording the 3/2, that includes the whole is 2/2 + ½, or 1 ½. 3) Repeat this with various other fractions. Make sure to record the whole(s) as a fraction and as whole numbers (i.e. 3/3 = 1; 5/5 + 5/5 + 5/5 = 3). 4) Have students move to paper and pencil work to support working with the tiles, where students have to either draw or colour in tiles to represent mixed numbers and improper fractions. Note: AVOID TELLING STUDENTS THE SHORT CUT OF MULTIPLYING THE DENOMINATOR BY THE WHOLE NUMBER AND THEN ADDING THE NUMERATOR WHEN CONVERTING BETWEEN MIXED NUMBERS AND IMPROPER FRACTIONS AT THIS POINT. 1) Show students an improper fraction (i.e. 7/5). Have students draw a visual model to represent it. 2) Discuss how you might count this model. Where did the five pieces come from? Where did the seven come from? What is another way to represent this? 3) Show students that the ‘whole’ represents 5/5 and the ‘left over’ is 2/5. Record it for students as 5/5 + 2/5 = 7/5. This will reinforce that we are always counting fifths. Guide students to recognize that 5/5 can also be written as 1. This can also be shown as 1 + 2/5, or 1 2/5. 4) Repeat this again with different visual models of improper fractions. 5) When students are ready, show another visual model, but start by naming it as a mixed number this time. 6) Ask students to identify what the denominator would be, as a starting point. How many wholes do we have? (3) How many leftovers? (2) So this would be written as 3 2/5. The 3 represents 5/5 + 5/5 + 5/5 and the left over is 2/5. Make sure to model the wholes as 5/5 to reinforce that we are still counting fifths. 7) Have students create their own visual models and identify the mixed number and improper fraction that matches their models. Have students create visual models and then share with partners to identify the mixed number and improper fraction. Follow up activity – play “Concentration” in partners, where students have to match sets of three cards – one with the mixed number, one with the equivalent improper fraction, and one with the visual representation.